Ronnie Smith Kennels favorite websites, links, partners and other websites we feel are worth visiting. If you have a website that has related content to Ronnie Smith Kennels LLC or would like to be considered in this section please use our link to us form. Grab your coffee and join Big Billy Kinder at 5:00am Saturday mornings on WBAP 8:20 AM out of Dallas / Fort Worth! Big Billy invites you to come into the camp-house for an hour of outdoor, hunting, and dog training talk that will get your weekend going! Weekly, you will enjoy Big Billy and other Pro Staff...WFAA, Chief Meteorologist Pete Delkus, and Dallas Morning News, Columnist, Ray Sasser, Tom Dokken of Oak Ridge Kennels and of course, our own Ronnie Smith! See You In the Camp THIS Saturday! 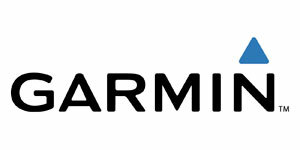 A leader in the electronics industry, Garmin is the cutting edge of new electronic dog products. We are proud to be using their equipment in all of our training programs and we recommend their products to our clients. Try their products and we are confident that you will begin to believe as strongly in Garmin as we do. Molly Ward has worked with Team Huntsmith to produce a line of quality hunting oilcloth gear. These products are designed specifically for the outdoor dog enthusiast. 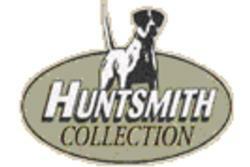 Huntsmith Collection includes a range of water proof products from custom guide jackets to chaps and duffel bags. Oklahoma Field Trial Association publishes information on field trialing that is helpful to field trialers in the region. The Pointing Dog Journal has been recognized as the sporting dog authority. This magazine has something to offer every bird dog owner. Articles range from hunting grouse in the thick woods to hunting sharptails in the wide open spaces. Every issue has a variety of information such as picking out a bird dog, training your bird dog, veterinary and health tips, and gun information. Just before fall the Traveling Wingshooter is published, which is full of information and tips on good hunting locations for the upcoming bird hunting season. Rick and Ronnie Smith are both contributors to the magazine. 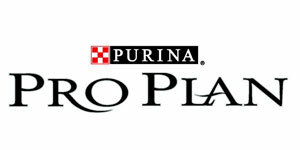 Ronnie believes in feeding quality products, therefore his Kennels incorporate Purina ProPlan into the feeding regime. 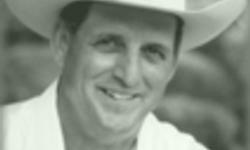 His dogs perform to exacting standards and need the best nutrition possible. Ronnie's cousin, Rick Smith, is a well respected man in the field. Known for the records he has set in field trials with his Brittanys, Rick is a man of many talents. In conjunction with Team Huntsmith, Rick conducts seminars internationally and continues to raise his outstanding line of Brittany bird dogs. 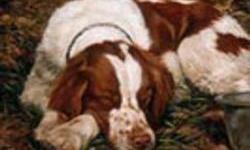 With an accurate eye Ron creates true to life water color paintings of bird dogs and wildlife. He has done numerous paintings of dogs we have known and he has proven his talent for "catching the moment." Let Ronnie Smith Kennels know if you would like a portrait done while your dog is in training with us.